Wishing on a shooting star isn’t going to get your wishes of reducing inventory costs granted. If you really want to find a solution that will reduce consumption, cut spending on tools and supplies, and other additional costs, then you might want to stop wishing for a genie to appear and start using a vending system. Stop waste, fraud, theft and abuse when you have access control. 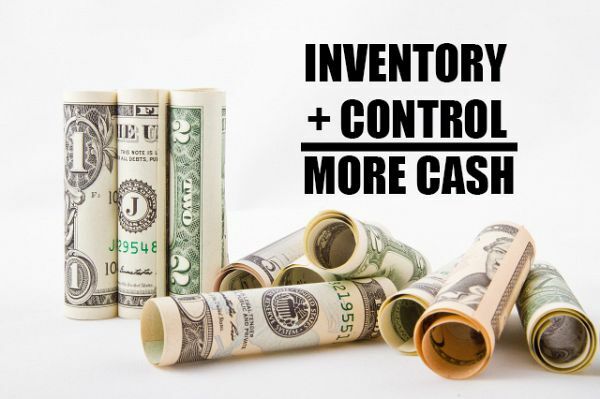 Inventory management software and industrial machine systems, let you decide what items each employee can access and place limits on their supply consumption. Reduce the inaccuracy of taking inventory manually and move to a “Demand-Based” ordering system. Case studies have shown that those who move to “Demand-Based” ordering with standard minimum and maximum based purchasing can run their tool cribs and point-of-use dispensing machines with 20% less inventory. Forcing the use of regrinds and reconditioned items will allow you to cut spending on new tools. Industrial vending machines especially can force the use of regrinds and reconditioned items first, before allowing access to new items. Increasing the visibility of slow and dead inventory can help reduce obsolete inventory. Use industrial vending machines to dispense the older tools and supplies first with FIFO (First-in-First-out) practices. Keeping track of slow-moving items will delay the reordering process and ensure that items are only being ordered when needed. Remove your traditional tool cribs entirely, while making tools and supplies more available at point-of-use for your employees, such as a tool locker or carousel-based vending system. This will allow you to reassign tool crib attendants to more productive tasks and put your business dollars to better use. Vending machines can provide you with an array of solutions to save you up to thousands and reduce your costs by reducing consumption, decreasing downtime, and allowing your employees to focus on more value-added activities. Instead of frantically searching for a four-leaf clover, with a vending machine and a tailor-made inventory management software, you can save yourself time and money and focus on the more important things. We at NC Technologies believe that attachment and hence attitude towards one's work reflects in the quality of our products & services. A sense of togetherness among NC Technologies team members helps in maintaining a congenial working atmosphere.